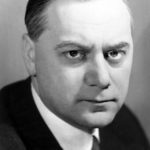 Alfred Rosenberg was a German theorist and an influential ideologue of the Nazi Party. Rosenberg was first introduced to Adolf Hitler by Dietrich Eckart and later held several important posts in the Nazi government. He is considered one of the main authors of key National Socialist ideological creeds, including its racial theory, persecution of the Jews, Lebensraum, abrogation of the Treaty of Versailles, and opposition to degenerate modern art. He is known for his rejection of and hatred for Christianity, having played an important role in the development of German Nationalist Positive Christianity. At Nuremberg he was sentenced to death and executed by hanging for war crimes and crimes against humanity. "Today a new faith is stirring: the myth of blood, the faith that along with blood we are defending the divine nature of man as a whole."